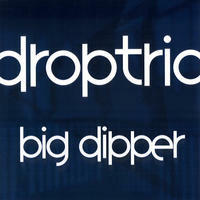 Drop Trio: Groove-oriented organ-based funk jazz trio. "Houston isn't the greatest city in the world for live jazz, but folks like Drop Trio are out to change that. They don't really fit in with the avant-garde, the martini sippers or the purists; they're more for the young cats who like their jazz a bit funked up with lots of energy. Drop Trio is anchored by a rhythm section tighter than the Texas education budget and a Rhodes keyboard that gets pushed to its limits on every cut." 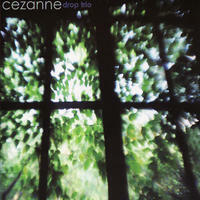 Since their debut in fall 2002, Drop Trio has quickly gathered a loyal Houston following. The trio tours regionally, playing packed rock and jazz clubs, coffee shops and festivals. Feature articles in the Houston Chronicle and nominations in the Houston Press Music Awards, only months after the band's inception, have given the band broad exposure and an exponentially growing fan base. Drop Trio's music careens between styles, with feet squarely in the New Orleans funk and Acid jazz camps, and nods to such diverse influences as progressive rock, classical composition and electronica. Their sound simultaneously appeals to the jazz sophisticate and the jam band devotee, while their virtuosity earns them fans in unlikely camps. In a recent appearance on Reprogram Radio, a hip hop and DJ showcase on KPFT 90.1, they earned the respect and appreciation of the local DJ scene as one DJ, put it, their music is "top-notch stuff." Drop Trio lives in Texas, USA.